Oyster Bay presents this flattering tankini set which offers excellent coverage. A timeless choice for holidays at home or abroad. 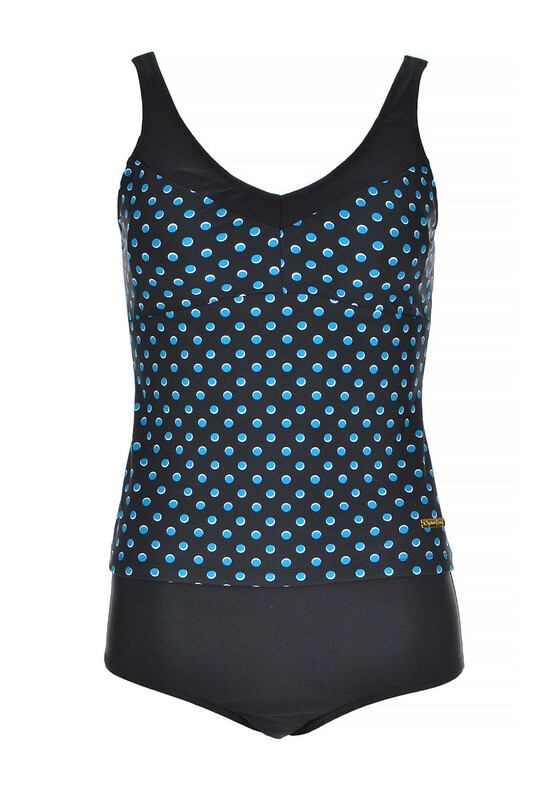 The tankini top is designed with wide straps, padded bust and a V-shaped neckline. Featuring a blue spot print throughout. The short style tankini bottoms are designed with a low leg rise.